Janet is the founder and now serves as an advisor. She established DSPA in 1990 to meet the growing demand for sign language interpreters in Silicon Valley. Her professional credentials include two associate degrees in interpreting (one from Ohlone College and the other from Gallaudet University) and NIC Advanced certification from the Registry of Interpreters for the Deaf (RID). Janet also holds a BA in international service and development from World College West. Janet’s deep appreciation for Deaf Culture and American Sign Language informed her policies and practices as DSPA took shape. Recognizing the rich symbiotic relationships among Deaf and hearing consumers and their interpreters, she set out to serve the interests of all three. Deaf Services of Palo Alto continues to thrive by honoring that perspective. Gerry is serving as director of DSPA. He brings over thirty years of management experience. 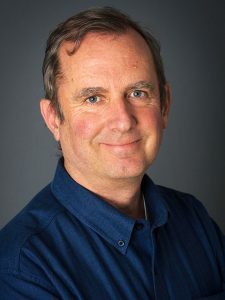 He previously worked as an executive with CBS Television for a number of years in NYC before moving West and serving as a consultant for several large high-tech companies as well as a number of start-ups. Gerry has been managing DSPA since 2013. He holds an MBA from Dartmouth College and a BA in economics from Denison University. Past volunteer work includes tutoring immigrants from Russia in English and serving on the boards of several nonprofits, such as Stevenson House and the California Institute for Medical Research. Gerry enjoys hiking, reading, and swimming. He lives in Palo Alto with his wife and daughter. 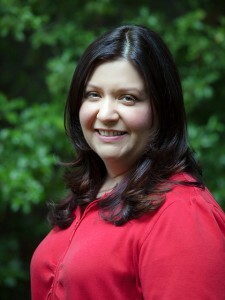 Genevieve has served as the office manager of DSPA since 1999. She works tirelessly behind the scenes to support the coordinators and manage all bookkeeping duties. Her prior experience as a professional organizer shows through in her work. A versatile, innovative problem-solver, Genevieve is detail-oriented and excellent at seeing the big picture. 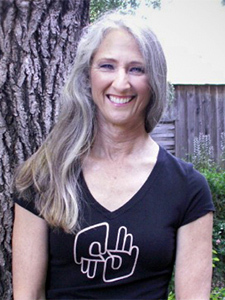 A San Francisco Bay Area native, she holds an AA in psychology and has pursued a concentration in social sciences and communications, including American Sign Language (ASL) classes. Our interpreters are independent contractors at the top of their field who are committed to DSPA’s philosophy of working collaboratively to provide the highest quality interpreting services and to serve our customers with integrity. We work with RID-certified interpreters and provide mentorship opportunities to interpreters working toward certification. We are proud to work with interpreters who are passionate about their role in serving the Deaf and hearing communities. DSPA interpreters have in-depth experience working in such fields as high-tech, business, economics, chemistry, biology, medical, mental health, higher education, linguistics, philosophy, and teaching English as a foreign language. Their diverse life experiences and personal interests include international service and development, the performing arts, parenting, travel, fitness, the outdoors, religious studies, and foreign languages.